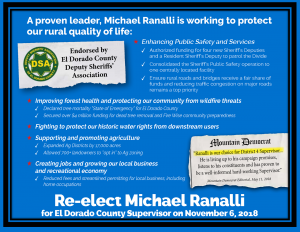 I will ensure that the county does what is necessary to provide that our law enforcement and fire protection are properly funded and have the necessary resources to protect our homes and businesses. Our communities are suffering due to the lack of adequate water storage and I will continue to prioritize this interest for our rural county needs. 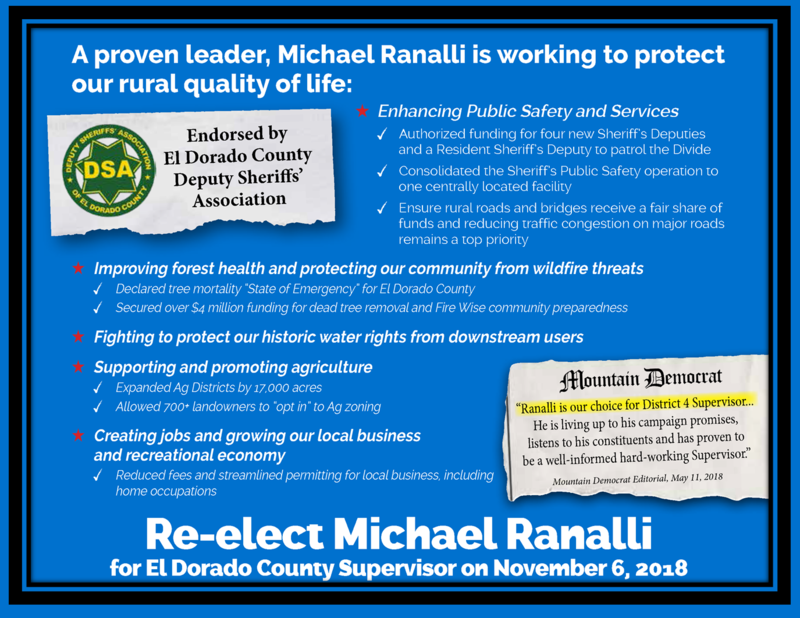 I am fighting to put El Dorado County farms and families first. I will continue to work to lower fees and eliminate regulations and mandates that stifle businesses and local job growth. I will fight for solutions that streamlined permitting for local business, and promote the free market and that remove the government’s stranglehold on small business owners.